If you like numbered lists you're in for a treat this week. After my "6 orange-pictures" post on Tuesday's 6 on 6 it's time for yet another classic: 5 Fandom Friday! * This week's theme was "5 Favourite Teachers". As always, I'm turning to the Star Wars universe for help and selected my favourite teachers from online multiplayer game Star Wars: the Old Republic (SWTOR). 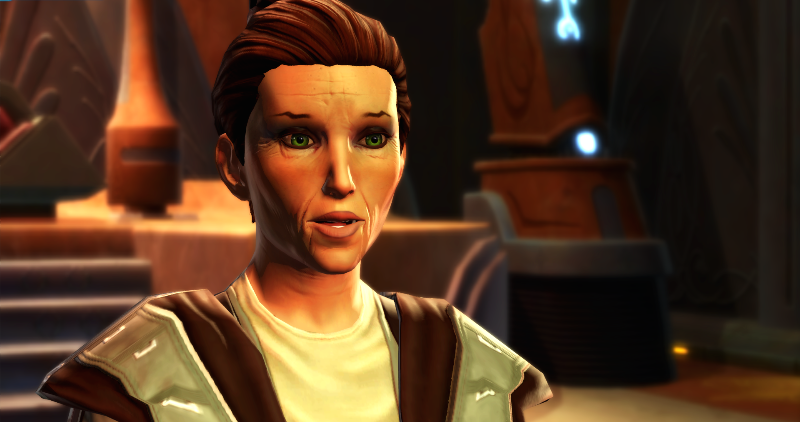 Yuon is one of my favourite teachers in Star Wars: The Old Republic. To start with, she is a fellow archaeologist! I mean, how awesome is that?! She is also an anthropologist and a historian, so as a science-lover I was a fan immediately. 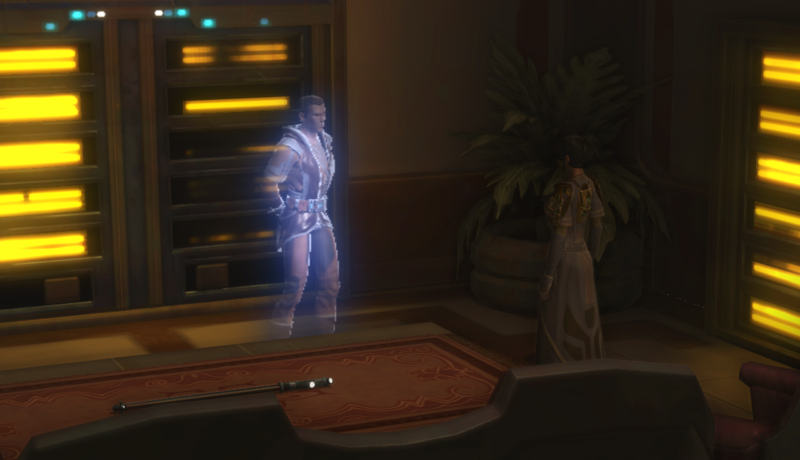 I also love how open-minded Yuon is: she introduces the player character to her Thrandoshian friend Qyzen and tells you she wanted you to meet him before you would hear rumours from other jedi, who disapprove of their culture (revolving around hunting). It is just a short remark, but it hints of racism. Apparently no perfect world exists, even among jedi. These nuances are what makes SWTOR such a good game. The prize for the teacher with the most charisma goes to... Orgus Din! I don't know how he does it, but he's that kind of guy that you instantly trust and follow. He's just a game character, I know, but I'm sure you would as well! Master Orgus fits the jedi knight class very well, always being hands-on and no fan of standing around and talking, like some other jedi (*cough* consular *cough*). He is also the only master that will communicate to you as a force apparition, like Obi Wan Kenobi in the movies... how cool is that? Or should the prize for the most charismatic master have gone to Lord Zash instead? With her honey-sweet voice, warm nature and great looks, Zash seems the perfect master for an ambitious acolyte... or is she? I don't want to give away any spoilers here, but the plot around lord Zash was brilliant - there was no way I could have foreseen what happened. 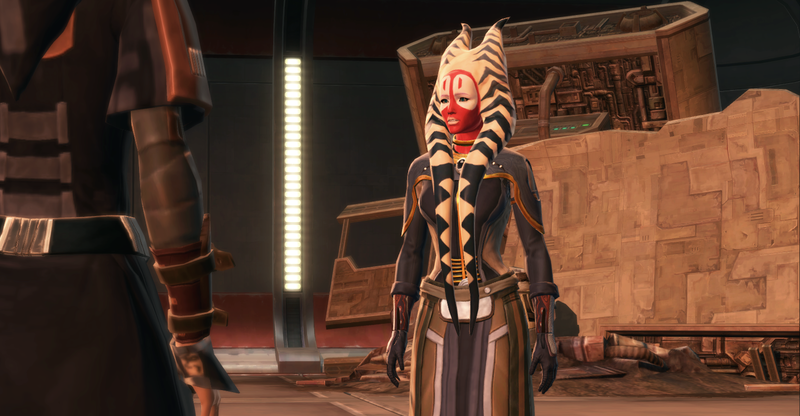 Definitely worth checking out if you're playing SWTOR but have not gotten far with your inquisitor yet. Even though the player never gets to know Kiwiiks well personally, she always looked like a loving and caring teacher to me. I felt so sorry for her when I spoke to her (as jedi knight player) on Corellia later and she feels too old and weak to fight. Of course not even jedi masters can live forever, but it made me feel sad nevertheless. All of the force class players become a teacher themselves with their own padawan or acolyte somewhere during their respective storylines. Playing my sage, I always tried to be the best teacher possible for Nadia Grell, who lost her family and is all alone. She is pretty much the perfect student: so sweet and always eager to learn. The teacher-student developments in the jedi knight and the sith warrior stories are really good as well. Did you like these teachers or did I get it all wrong? Let me know in the comments! *5 Fandom Friday is a weekly event organized by the Female Geek Bloggers group on Google+. You take my favorite screenshots! Lord Zash is super familiar, I think I remember her from when I used to play. There are so many things in this game that I don't remember! I think I might start playing again xDDDDDD Too many cool screenshots! I really had to hunt these screenies down: apparently I don't usually make pictures of my masters. Poor masters! I am glad you like them, though, thanks! My favourite was Overseer Tremel at the Sith Academy on Korriban. His story is quite sad, and gives you early incentive to hate Darth Baras (not that you need much). Awww, I feel sorry for Tremel as well. He was such a nice guy (for a sith!). Scooter (my wife) calls him Darth Butterball (a brand of turkey in the U. S.). Fun overview of the Jedi..and umm Zash (my favorite truly evil Inquisitor!). Excellent screenshots, I love doing cut scene screenshots often, they are fun to post for memorable moments!